ERS will restore your home, clean it up, and let you get back to life – quicker than anyone. We work on your schedule, so there is no interruption in your work flow. If your building is flooded, you need to stop reading and call 414-571-9977 as soon as possible. The faster ERS can get there, the less it will cost to remove water and repair the flood damage. Is it 3AM? Some of us are awake – ERS can be there in under 60 minutes. We’re located right next to the Milwaukee Airport (MKE) – even if you’re far from Milwaukee, we’re still likely to get to you before any other restoration company can. 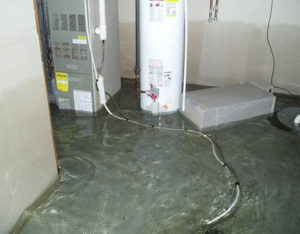 Water damage cleanup is our specialty. The cost of repair increases every second! It can be hard to know where to begin with a flood. Any water cleanup overlooked will lead to mold growth and further deterioration of the structure. It’s a very skill intensive process to properly remove the water and restore it to new. ERS’ flood restoration professionals have your back. ERS fixes water damage every day – it’s our specialty. 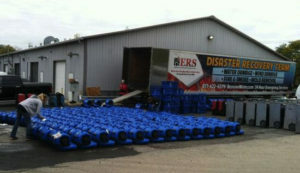 ERS can accommodate any disaster, large or small. The Emergency Restoration Specialists will restore your home to its pre-flood condition. If you live in the Southeast Wisconsin/Northern Illinois area, ERS will make your home look like it did before. No one matches our level of quality for bringing homes and businesses back to pre-disaster conditions. When your catastrophe happens, contact ERS and you’ll be in touch with a company representative to get you started. Our emergency restoration specialists will deploy right away to get you back on track. All of our field technicians are certified by the Institute of Inspection, Cleaning and Restoration Certification. This organization is the leading authority in training for restoration services. Getting certified by the IICRC is the equivalent of earning a degree in restoration services. When you contact ERS to help with water cleanup, sewage cleanup, or water removal, you can take comfort knowing you’re dealing with qualified professionals in water damage cleanup. ERS holds an A+ rating with the Better Business Bureau. This recognition comes from over 25 years of experience restoring customer’s homes to better condition than the homes were before the disaster. We’re also proud to be highly regarded on Angie’s List. ERS delivers consistent top notch service. Call us to turn your disaster site back into the livable, beautiful space it was before this all happened. Here are the most common causes of indoor flooding and water damage. ERS Also Performs Regular Maintenance and Simple Cleanup Jobs. We offer a comprehensive range of services to provide you with total disaster restoration. In Wisconsin, there are several different kinds of catastrophes your home could fall victim to. Emergency Restoration Specialists are ready and capable of taking on each of them so you don’t have to. Whether it is a broken or leaky pipe, a toilet or sink overflow, a slab leak, refrigerator, dishwasher or washing machine, sewage damage, or a flooded basement, we’ve got you covered. Not every emergency has to be a complete disaster either. Sometimes, all you’ll need is clean-up for a spill on the carpet or cleaning the ventilation. ERS offers light cleanup services so you can utilize our professional skills, not just when an emergency arises, but at any time. Basements tend to flood first during any kind of water damage emergency because they are the lowest point of a home and basement flooding can occur from sources inside and outside the home. Excessive rain can over saturate the ground, resulting in leaks and even cracks throughout the basement. In addition to leaks and cracks being a common cause of flooding, frozen, broken, and burst pipes are more susceptible to happen in basements due to the pressure and temperature difference within the basement. Water pipe bursts are common where extreme winter cold and high winds drive the wind chill well below freezing temperatures. Homes that are left vacant with no regulating of heat or poorly insulated walls can be a common culprit of frozen water pipes and frozen water lines during the winter time. Over a quarter of a million American homes each year will suffer from damage due to frozen or burst pipes. A frozen, broken or leaky pipe are all inconveniences that can lead to major headaches for your home. Ignoring these repairs can be extremely costly as basement water damage can lead to an unstable structure and damage of your valuables. We will detect the water in your basement quickly and handle the water removal completely. Do not wait to call us if you have basement water damage. Commercial water damage to your Milwaukee property due to a flood and other types of water damage can mean lost revenue and potentially, lost customers. If your business requires water damage restoration due to broken pipes, frozen pipe water damage, or flooding, time is critical. Emergency Restoration Specialists are on call 24/7 to provide your business with a reliable lifeline when Milwaukee water damage restoration is needed. Let us partner with you to help minimize business interruption and get you, your employees and your customers back to business as quickly as possible. Our commercial water damage restoration expertise spans all industries, from retail and hospitality, to government, healthcare, and industrial clients. If you’ve experienced commercial water damage in Milwaukee or the surrounding area, contact Emergency Restoration Specialists to get your business back to normal as soon as possible. We also provide sewage cleanup and sewage removal to keep you and your loved ones safe. Our team of certified experts have years of experience resolving various sewage damage cleanup and repair problems. Sewage removal is a dangerous process due to the toxic microbes that may be present in raw sewage waste. Coming in contact with raw sewage can cause disease, can destroy your valuables and cause severe damage to your property. It’s very important that you do not try to clean up a mess from broken pipe water damage that is connected to a sewage line. You always need to have experienced sewage damage specialist with specific equipment that keep you and your family safe during the sewage cleanup Milwaukee process. 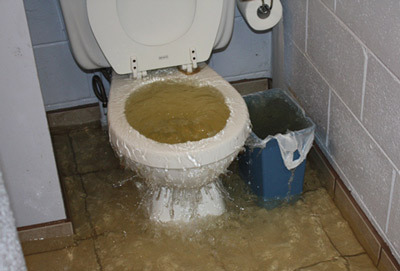 Sewage damage can be the most unhealthy damage you can have. We will be there until the entire project is complete. Not only do we have the equipment to remove sewage damage, we also have the disinfectants, chemicals, and training to make the affected area safe once more for you and your family. Our goal for our customers is to restore your home or business following a sewage damage disaster in order to limit downtime and expense. If you are suffering from sewage damage, ERS will get the job done quickly and professionally so you can get back to living normally. Water damage compromises the safety of the structure of your home and should be dealt with immediately. If water damage is not taken care of when the source is first noticed, the damages can increase, costing you, the homeowner, thousands of dollars! That is why we offer top-of-the line Dehumidifier and Fan equipment rentals. Whether you need a small area cleaned up, or need the equipment to do the job yourself, you can be confident you have the proper state-of-the-art equipment to clean up any water damage. 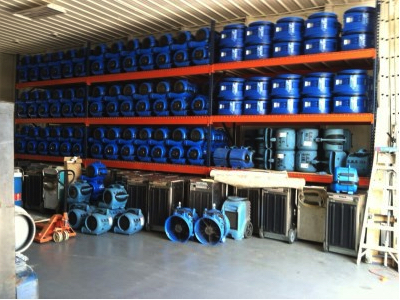 We offer fans rentals, dehumidifier rentals, ozone machine rentals, air scrubber rentals, and desiccant rentals. We are so confident in our work we offer a 100% guarantee on it. If you’re not satisfied with our work after we leave, we’ll return and finish it to your satisfaction, free of charge. If we still couldn’t restore your home to your satisfaction afterwards, ERS will completely refund your money. Our technicians will give you the best service you could hope for. Just look at what our past clients have to say about our work. You may not need our services now, and, honestly, we hope you don’t since it means something bad has happened to your home. But if a disaster does hit your home, something needs to be done and fast to protect your home and belongings. 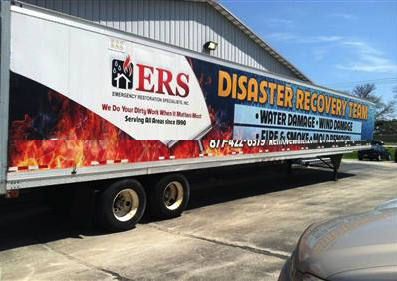 Now you know who to call: ERS—the Emergency Restoration Specialists. Contact the restoration experts at ERS today for catastrophic emergencies – or any restoration job. We provide services throughout Milwaukee WI, South Milwaukee WI, West Milwaukee MI, and the surrounding areas, including 53022, 53051, 53154, 53202, 53203, 53204, 53205, 53206, 53207, 53208, 53209, 53210, 53211, 53212, 53213, 53214, 53215, 53216, 53217, 53218, 53219, 53220, 53221, 53222, 53223, 53224, 53225, 53226, 53227, 53228, 53233, 53235, 53295, and 53172. Some attractions we service near include the General Mitchell International Airport, Milwaukee County Zoo, and the Harley-Davidson Museum.